I have togethered too much for the personal safety of myself and others. Thanksgiving has left me straight up out of evens because I just cannot anymore. Me: What room are you going to right now? Husband: I’m not sure? Why? Me: Because I am not going to go to that room you go to. This is because I love you. 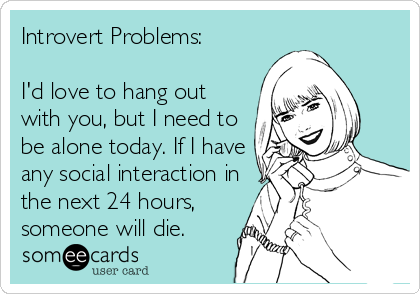 The life of an introvert is a strange one, I tell you. We are a misunderstood bunch. We don’t hate all people and we aren’t just so shy. We have friends. We like good conversation. We will go and we will do and we will probably have a good time. But when it’s all said and done you people make us tired. So tired. And so we go away and spend time by ourselves in the quiet and that’s where we get our energy back. It’s really quite simple. It’s all about where you get your energy- extroverts get it from being around people and introverts get it from being alone. That’s all. We aren’t a bunch of meany rude grumpy grumps. We just need a hot minute for the love. 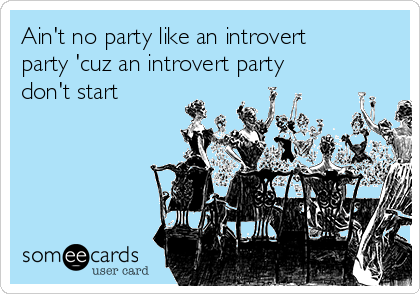 And so I was sitting in the bathroom yesterday hiding from my toddler thinking about introverts and the holiday season. And I was like: The holiday season is overwhelming for the average person, yes? There are exactly a bazillion parties to go to and everyone wants to gather for a dinner of sorts. There’s the shopping and the last minute gifts. There’s traveling and there’s staying with family and and and… just wow, so many things. 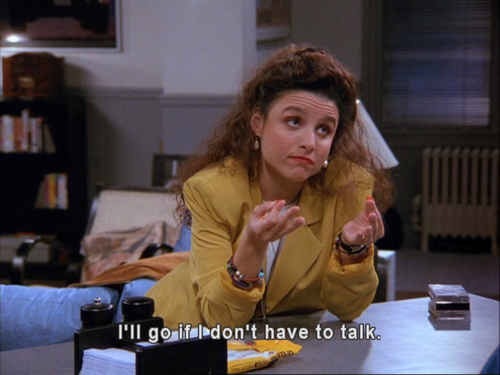 And so as I was hiding from the toddler who is currently in a phase I like to call “koala bear” (think hanging off of a tree every second of the day and I am the tree) and I was just like, it’s hard to be an introvert during the holidays. There. I said it. 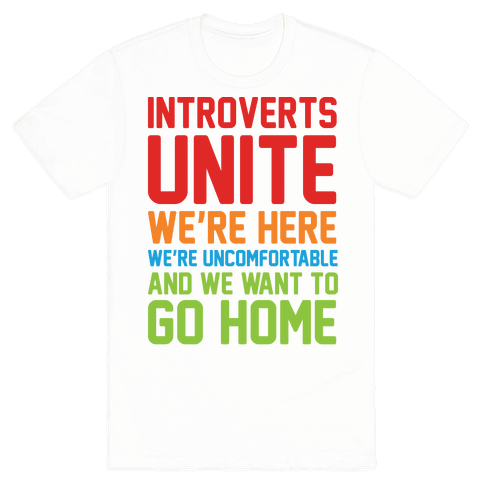 And so I have a few wishes for the introvert this Christmas season. I wish for you this killer tee because truth never spoke so hard. Amiright? 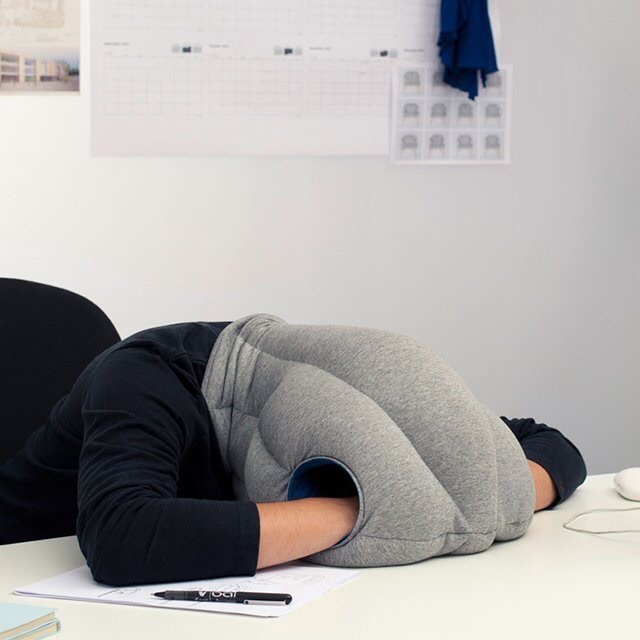 I wish for you this ostrich pillow. May it be a safe haven for you or a safe word of sorts. May you crawl inside this sucker on airplanes, at family gatherings, or when you are just so done except you’re not at the mall. 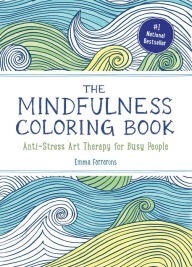 I wish for you a coloring book. Sit down, dear one, grab some colors and drown out all.the.noise of the holidays one coloring page at a time. 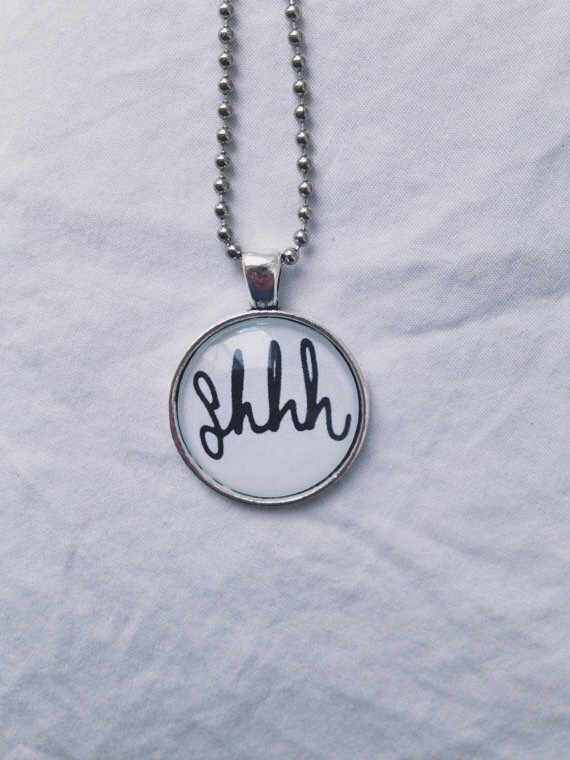 I wish for you this necklace. I wish for you the strength to say the following words, “Please go away. I’m introverting” at least once this Christmas. And if you can’t find the strength to utter them, may you just flash this mug in people’s faces. 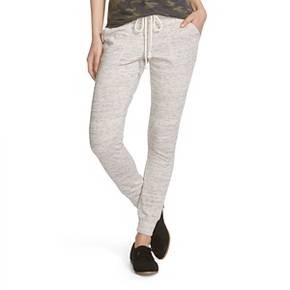 Speaking of sweatpants, I wish for you some. May you be granted many nights to just sit at home and wear them. Or may you be granted a Christmas party invitation where the dress code is sweatpant. I wish for you a friend who invites you to dinner at her house and when you show up this is in front of the door. I wish for you ghost-like exits from every gathering. May they be quick and clean and may no one notice one single thing. I wish for you a night to use this candle. Because no one is coming over and it’s okay to like it that way. I wish for you some quiet time. I want it to rain down quiet time like it rained down manna for the Israelites. I want quiet time to be gifted to you with as much excitement as Oprah used to gift all.the.things. 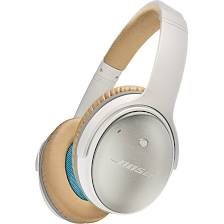 And if you can’t get that precious quiet time I wish for you these bad boys. There you have it. 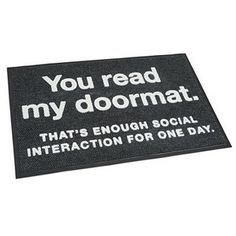 My Christmas wishes for the introvert. May you strike the perfect balance of together and Bye Felicia.